Due mostly to his winning of the recent U.S. election, Donald Trump is one of the world’s most talked about individuals, and though many people are actively protesting his presidency, there is a silver lining to his growing popularity! 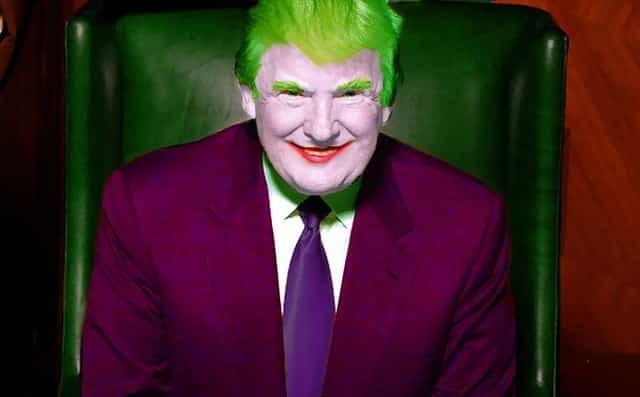 In addition to the increased amount of Donald Trump articles, there have also been an increased amount of Donald Trump pictures posted on the internet, and while some of them are indeed serious, others have been altered to look downright hilarious. That’s right – thanks to the wonders of photoshop, snapchat, meme generators, and technology in general, many of the 45th U.S. President’s most viewed pictures have been edited, altered, and customized in a way that is bound to make anyone chuckle. So, in an attempt to make our readers laugh while also proving just how funny and creative some people can be, we have created the list below. 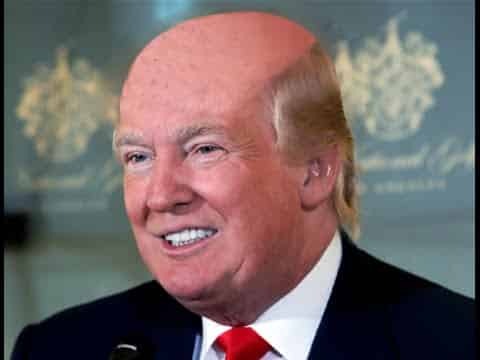 It consists of 15 hilarious Donald Trump pictures, and whether you are a fan of the current U.S. President or just wanting to laugh at his expense, it should certainly be enjoyable for you. 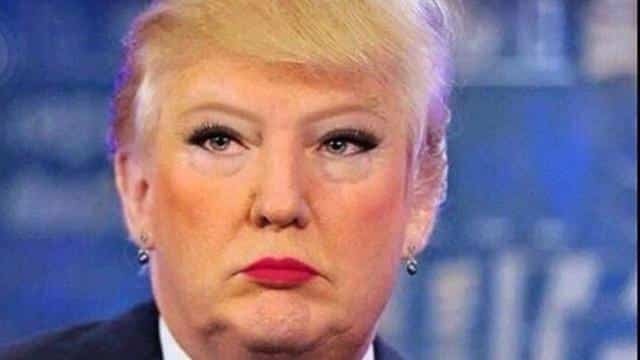 Created with a hilarious snapchat filter, this picture features the U.S. President as a woman, and has been shared consistently throughout social media. Though we all know he has a rather noticeable head of hair, this picture shows what Trump would like like without his current comb over. 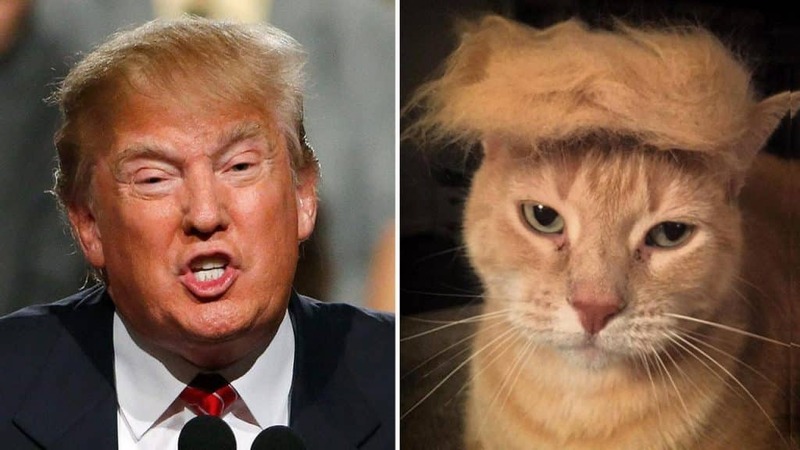 Perhaps one of the benefits of Trump not balding, is the fact that we can emulate his very unique hairstyle on small animals. Another image that (since it’s creation) has been shared all over the internet. 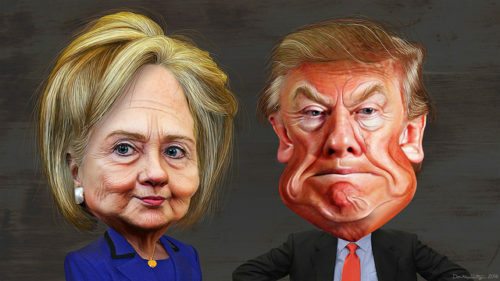 This one features a cartoony drawing of Donald Trump standing next to his former opponent and 2016 Democratic nominee Hillary Clinton. 5. Who Wore It Better? 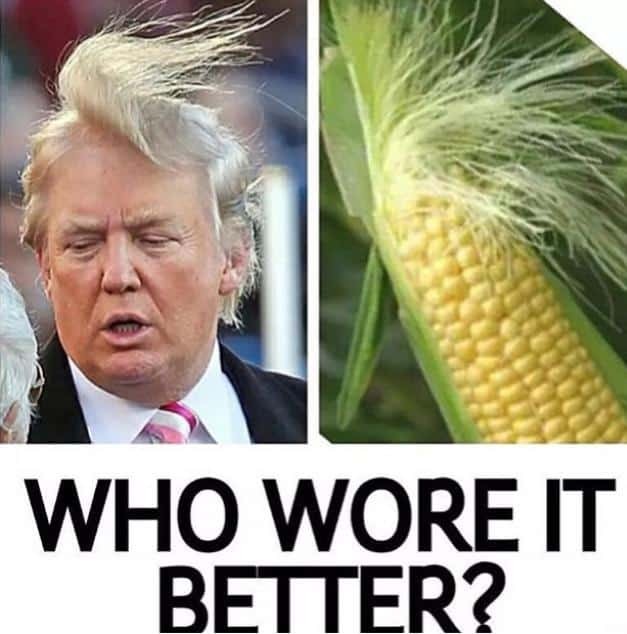 A rather tough decision on who wore it better – Donald Trump, or the ear of corn to the right side of this image? Though the corn and text were of course added in on a meme generator, the left image is actually un-edited and was taken while the wind was blowing against Trump’s hair. This image goes to show just how orange Trump’s face is, and just how noticeable fake tans are! 7. The American Adolf Hitler? 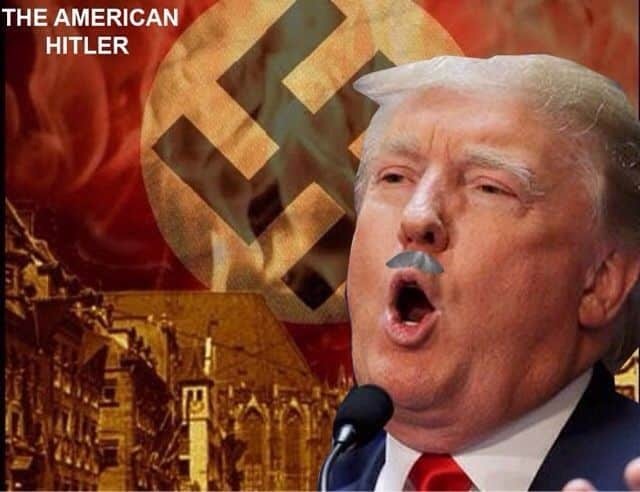 In this image, Trump is compared to the former German dictator Adolf Hitler. Though the comparison is of course exaggerated and may not be very “funny” to some U.S. citizens, a lot of people have gotten a kick out of it. 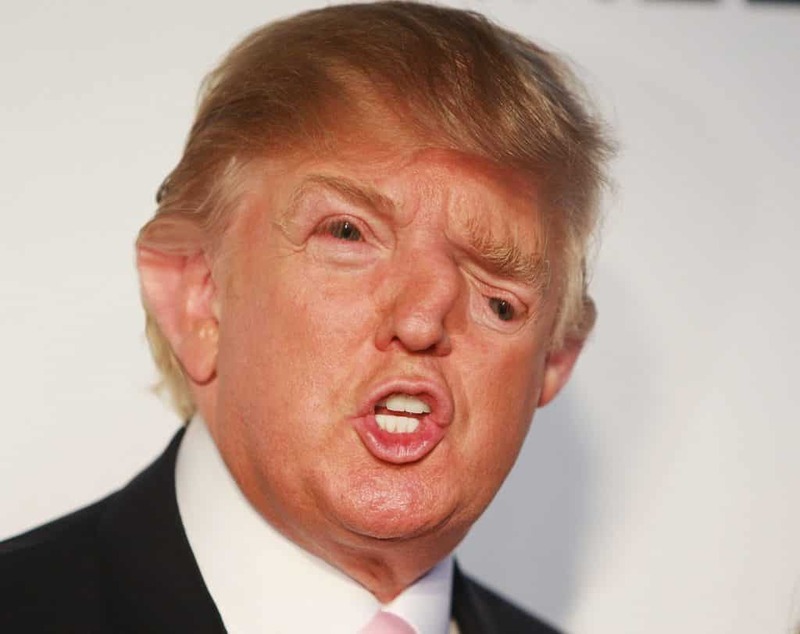 This one may have just been edited this way to look funny, or it may have been edited this way to call Trump a loud mouth..
A funny, yet eerie photo in which Donald Trump’s eyes have been edited and moved to different areas of his head! 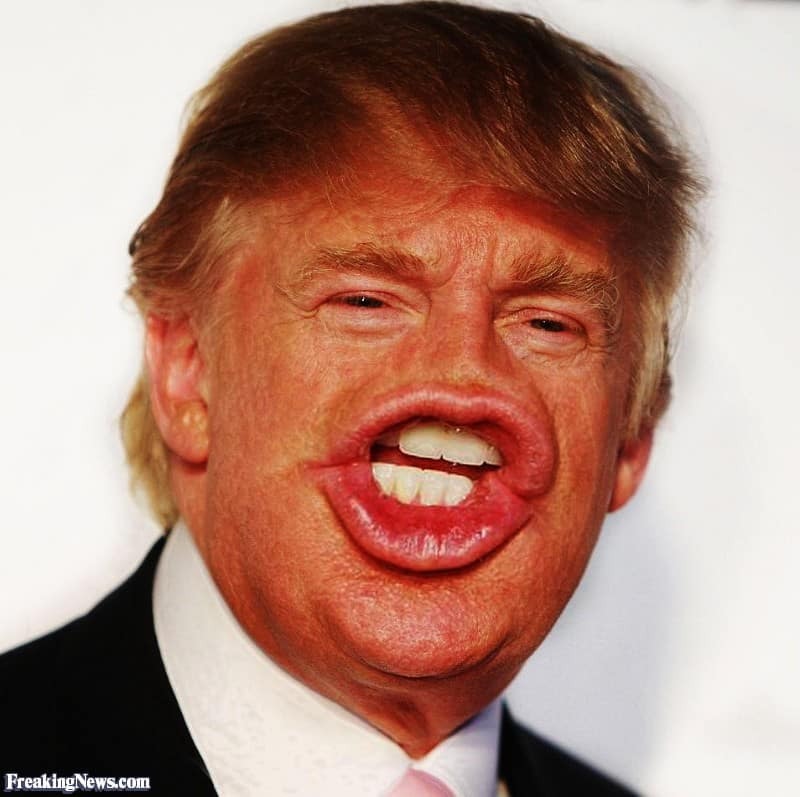 This, ladies and gentlemen, is what the President Of The United States would like like without teeth.. 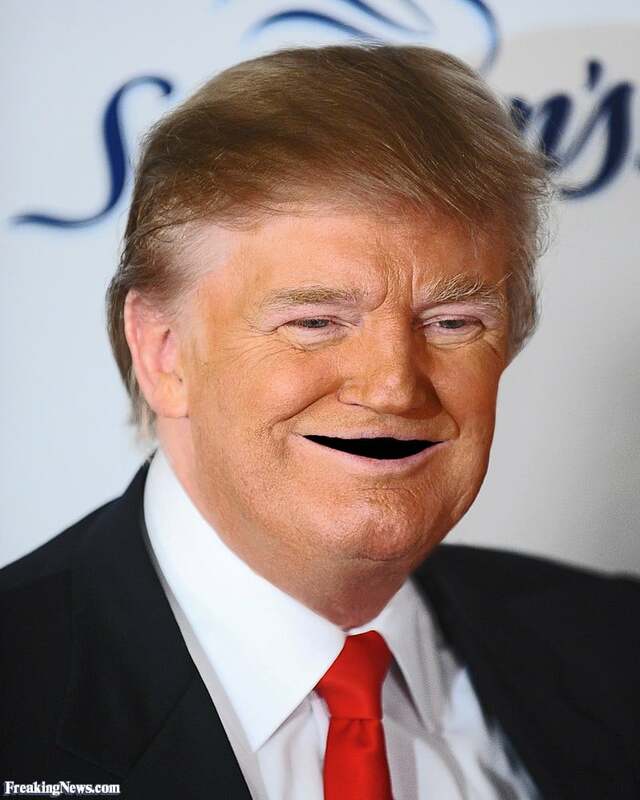 Believe it or not, only his teeth were edited on this picture. 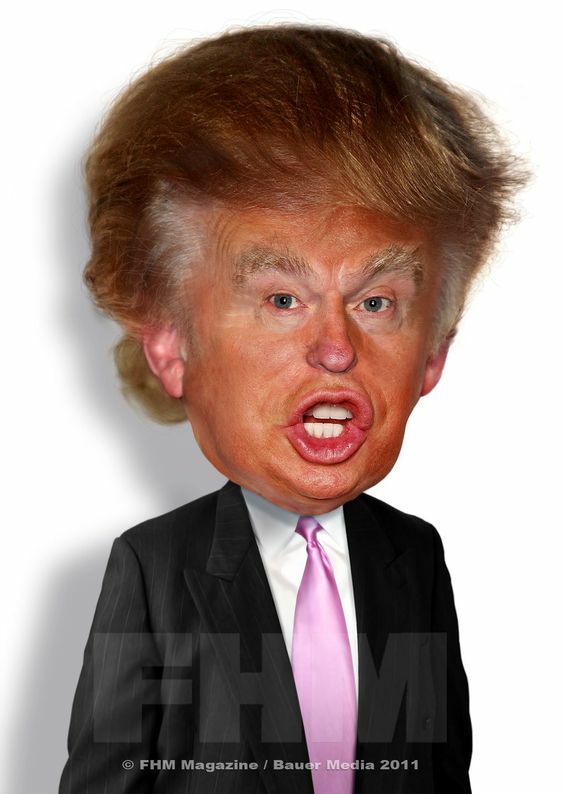 As opposed to writing about how Donald Trump has a “big head”, why not just edit one of his images to looks like this one? Though this image was edited/created in 2011, it is still shared and laughed at today. 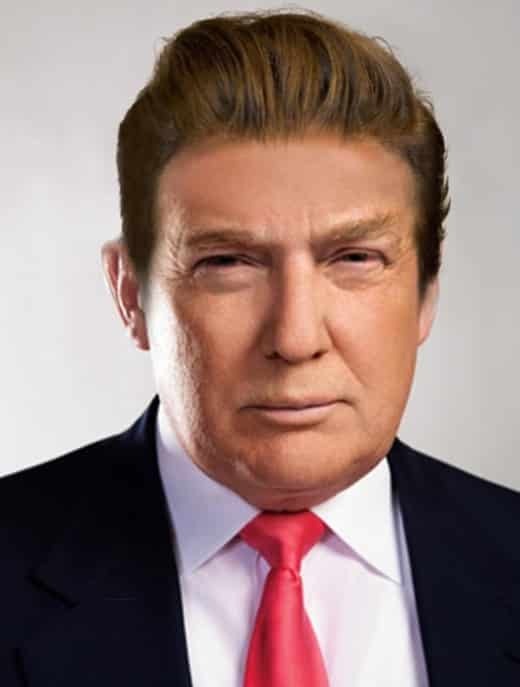 Created by an online re-stylist, this image shows what the 45th U.S. President would look like with a more trendy head of hair. 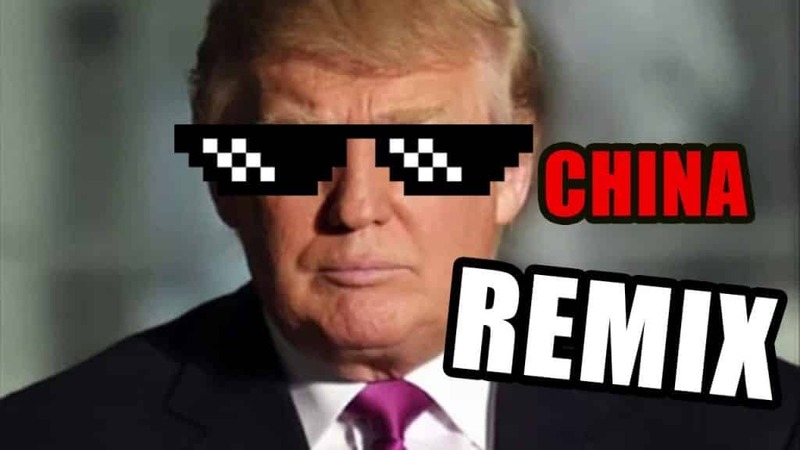 This very funny thug-life styled picture features Donald Trump with a pair of shades, and set for a “China Remix”. In addition to editing his hair, eyebrows, lips, and face, they edited the color of his suit as well! According to the Funny Or Die website and Variety.com, this Jonny Depp-style Trump photo will be used in a parody movie of the U.S. President. It is reported that Jonny Depp will act as Trump in the film, and that it will be submitted for Emmy nomination.